Announcing MadCap Flare 2017 r2: Salesforce Integration, Top Nav Enhancements and More! Fresh off the heels of a few dozen live demos and presentations to eager eyes at the STC Summit, I’m thrilled to share details about our latest release, MadCap Flare 2017 r2, announced earlier this week. This new version comes packed with a number of new features and enhancements, designed to give you even greater control over how you create, manage, and deliver your content – whether it is technical documentation, policies & procedures, medical or regulatory information, and everything in between. The technical communication and broader content development landscape is evolving – like most technology in our lives – at a rapid pace. There are changes to end-user requirements, updates to web-based standards, an ever-expanding number of mobile devices, and so on. In an effort to meet the needs of our users, MadCap Software has transitioned to an agile development cycle to ensure we’re delivering multiple major releases with new features, performance enhancements, product integration and bug fixes throughout the year. 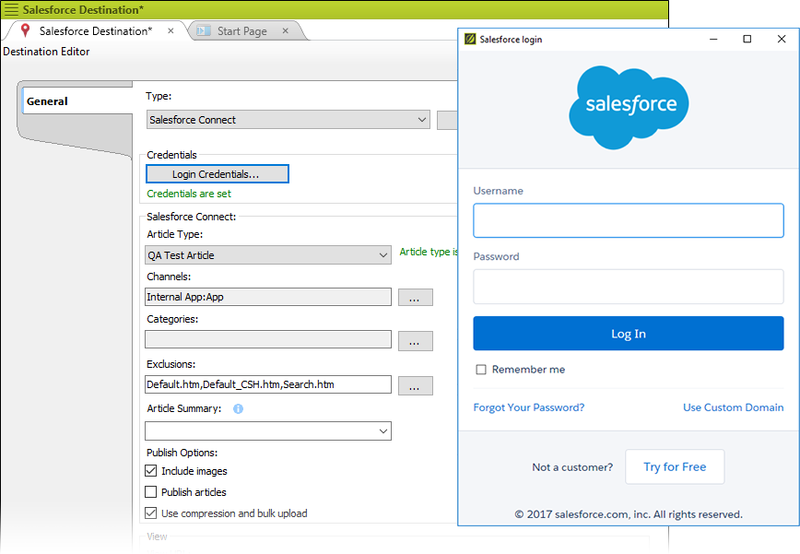 The new Salesforce Connector lets you publish Clean XHTML outputs directly to Salesforce Knowledge. This integration is useful for any authors who want to continue to author in Flare, and easily publish single sourced topics as Salesforce articles. Gone are the days of copying and pasting content, and the hassle of reformatting everything in Salesforce. To learn more about Salesforce Connect, take a look at this Help topic. There are benefits to both the Google and MadCap Search methods. Some users might prefer the search results returned by Google. However, others might prefer the results returned by MadCap, especially since the MadCap Search rankings are specifically tailored for Flare users (taking into account not only H1-H6 headings, but also index keywords, glossary terms, etc.). We’ve added new improvements to HTML5 Top Navigation outputs, allowing for greater control over the content and enhanced usability and user experience for your end-users. Fixed Headers – Authors can now fix the header portion of HTML5 Top Nav targets so it stays in place, allowing users to see elements of the header region (like the table of contents, and the search bar) when they scroll. 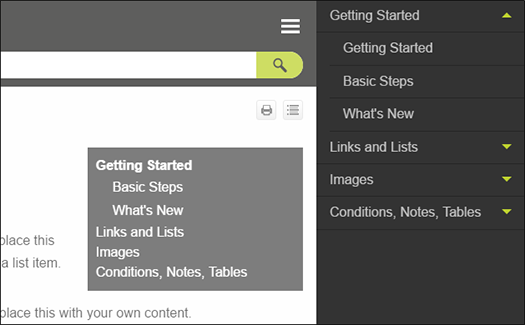 Fixed Topic Menus – Set topic menus to be fixed in place in your HTML5 Top Nav outputs. The menu stays fixed in place as the user scrolls, which can help improve the usability of the topic menu item. 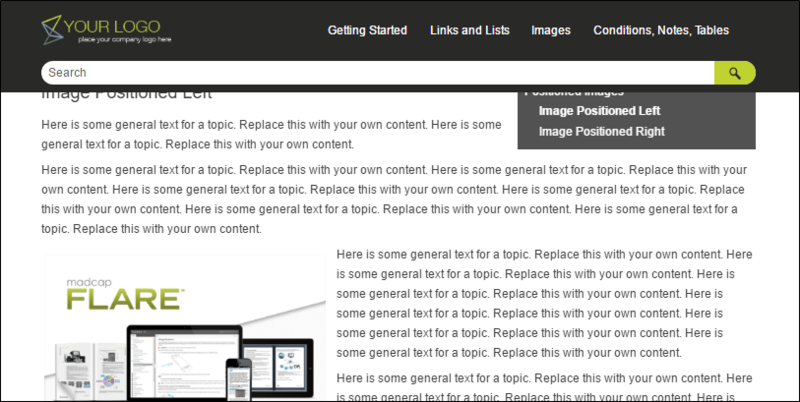 When designing the topic menu, you can also choose to fix it for web, tablet, or mobile screens. Heading Option for Topic Menus – Users now have the option of showing topic headings and subheadings in the side menu. Also, when viewing a topic that is set up like this—and the menu is fixed in place—each sub-heading section will be highlighted as you scroll down in the topic. Tree Format for Slide-Out Menus – Slide-out menus for Top Nav outputs now have the option to display sub-items as a tree format menu. With this format, any item containing sub-items has a down arrow next to it. When you click on that item, the sub-items are shown, but the rest of the menu remains in view as well. You can now set and display favicons in your HTML5 outputs, which can appear in browser tabs, bookmarks, Windows tiles, and iOS/Android devices. Enhancements made to the compiler are resulting in faster compile times by as much as 35% faster. For large projects, this can save an incredible amount of compile time. 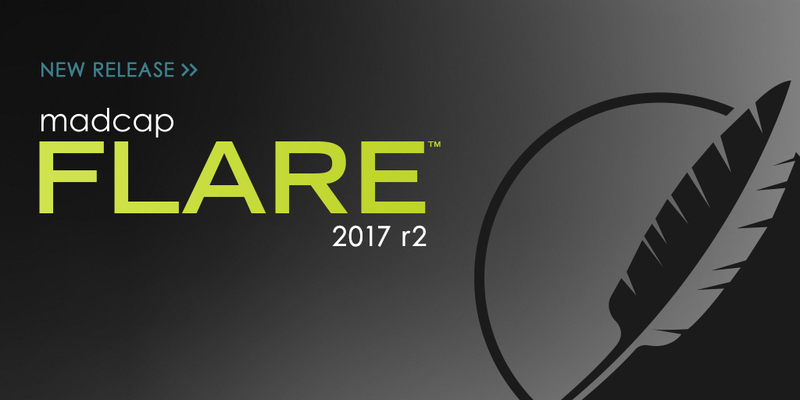 To learn more about all the new features and enhancements that come with MadCap Flare 2017 r2, visit the What’s New topic here. As is the case with all of our products, you can get started with a free, fully-functional 30-day trial at any time. Our award-winning technical support team is available to answer any questions by phone or email as you evaluate. Additionally, we can schedule a private demo to provide a personalized overview, as well as discuss any needs or best practices for your organization. We upgraded to 2017 r2. Now our breadcrumbs and TOC are not working. We are using HTML 5 output. How do we fix this? I have noticed others having the same problem!! We upgraded to 2017 r2 and have had no problems with breadcrumbs and TOCs including mini TOCs. We do like the fixed menus.